Julie Daniels and Jean Oliver, both Republican candidates for state Senate District 29, answered questions Monday night during a forum sponsored by the Green Country Republican Women’s Club, held in the Bartlesville City Council chambers. The event was moderated by Charlie Taraboletti of Bartlesville Radio, and was standing room only. The candidates answered questions ranging from the struggling state budget, education and criminal justice reform. 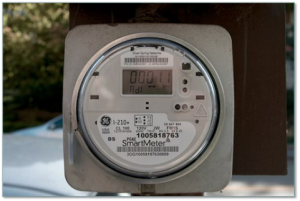 What do Smart Meters and the Dunlap Family have in Common? Can you say RFID Lobbyist at Work! Would you cast a vote that EMPOWERS a POLITICIAN turned CORPORATE LOBBYIST? Would you even know if you were doing so? 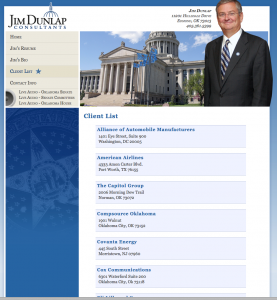 Consider a 4th generation politician who has a family member that represents Oklahoma Gas and Electric and a list of other corporations lobbying for favors all the time and getting paid to do so. Would you vote for them if you knew that a family member represents companies working to infringe on your 4th amendment rights to privacy by supporting and lobbying for companies who have made sure you have no way to opt out of the installation of Smart Meters? Do you know which companies lobbied for this bill? Many districts and races are effected around the state. Be sure you know the linkages in your area and do not vote for those involved in this corporate scheme. The contrast is very clear in the race in HD10. A PSO rate hearing before the Oklahoma Corporation Commission is scheduled for June 25th. A part of this rate hearing involves PSO’s request to install smart meters and the smart grid throughout their entire Oklahoma service area including Bartlesville. Time is short to educate the citizens of Washington County to the downside of smart meters. Therefore we are holding a Smart Meter Information Meeting this coming Thursday, June 19th at 6:30 pm in the Cherokee/Delaware Room at Tri County Technology Center, 6101 SE Nowata Road, Bartlesville, OK 74006.